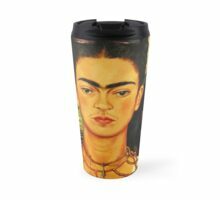 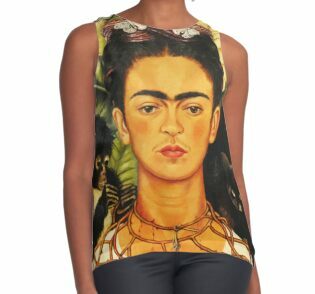 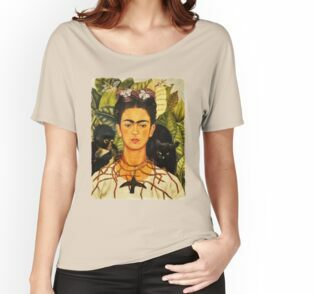 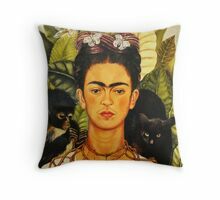 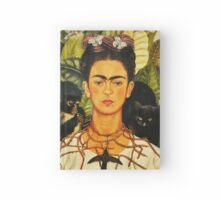 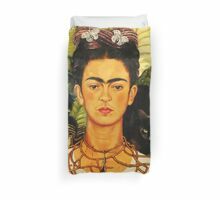 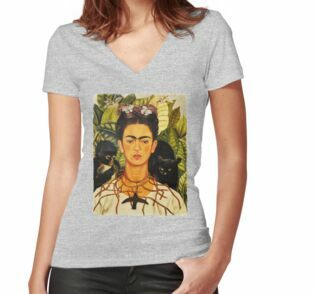 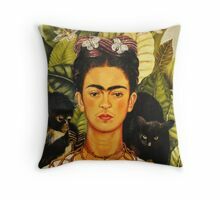 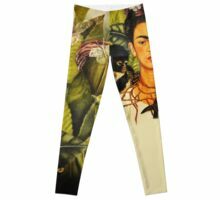 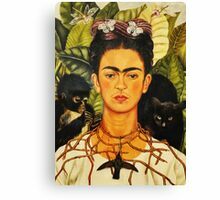 Kahlo’s identification with indigenous Mexican culture greatly affected her painting aesthetic. 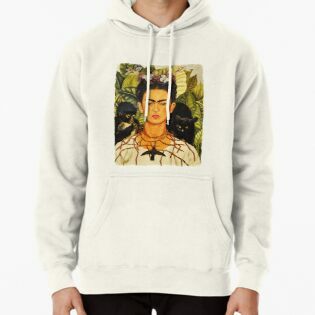 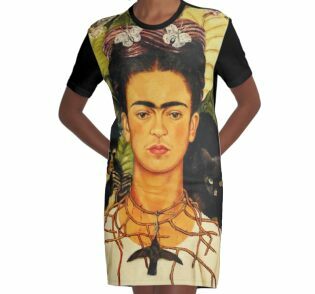 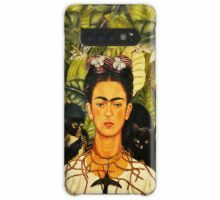 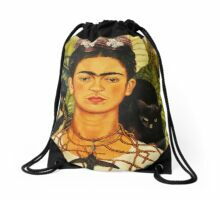 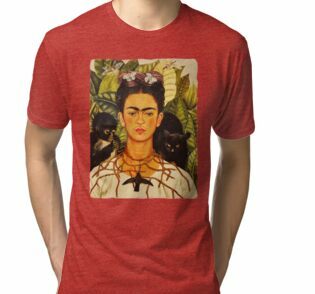 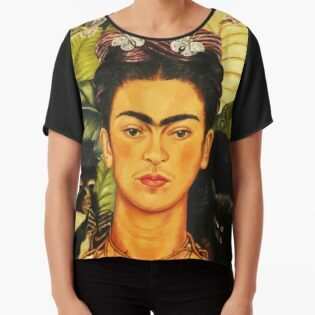 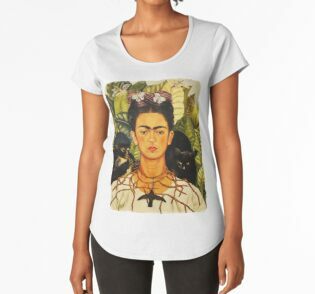 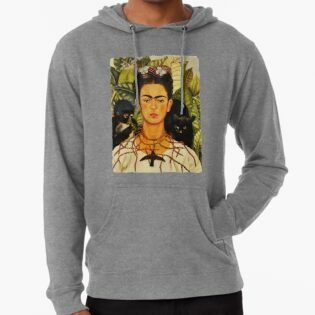 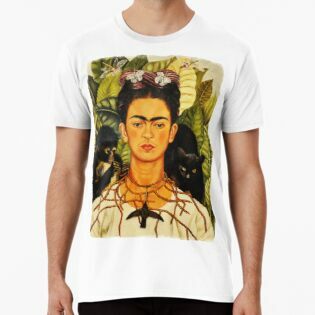 By using powerful iconography from indigenous Mexican culture, Kahlo situates herself in a tradition of rebellion against colonial forces and male rule.The dead hummingbird which hangs around her neck is considered a good luck charm for falling in love in Mexican folklore.6 An alternate interpretation is that the hummingbird pendant is a symbol of Huitzilopochtli, the Aztec god of war.Meanwhile, the black panther is symbolic of bad luck and death and the monkey is a symbol of evil.6 The natural landscape, which normally symbolizes fertility, contrasts with the deathly imagery in the foreground. 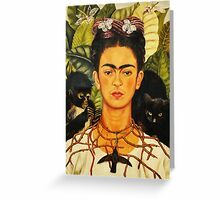 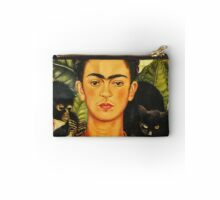 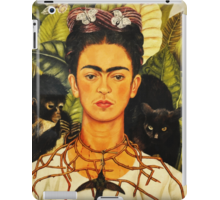 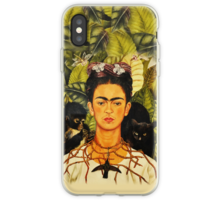 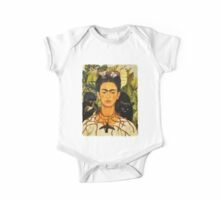 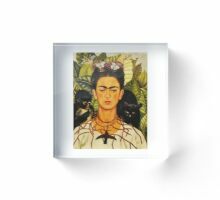 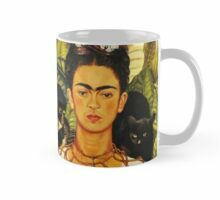 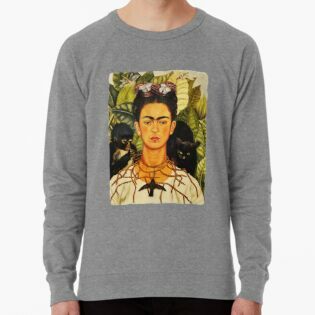 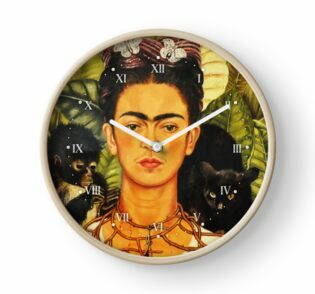 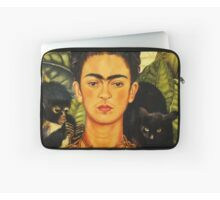 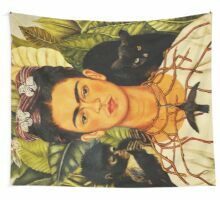 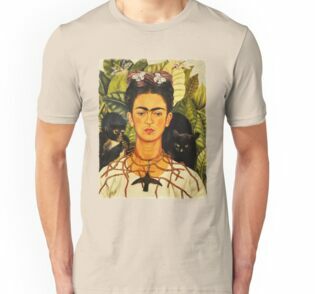 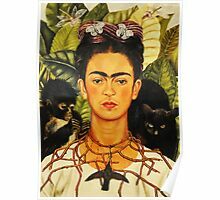 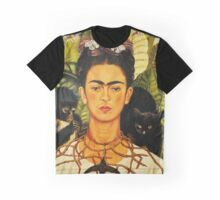 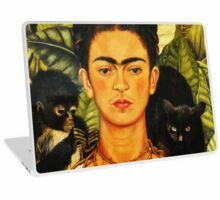 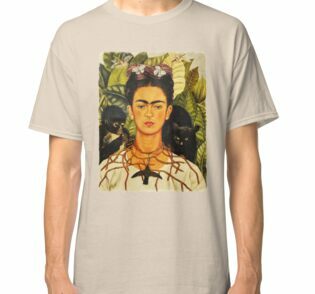 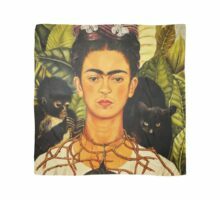 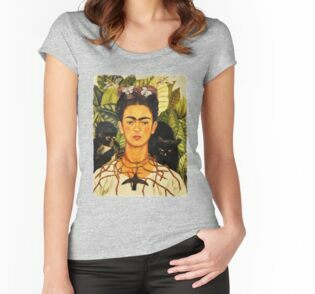 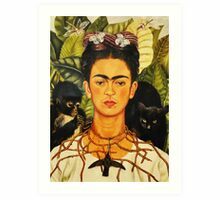 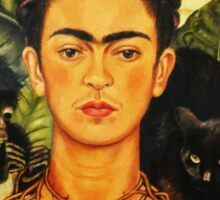 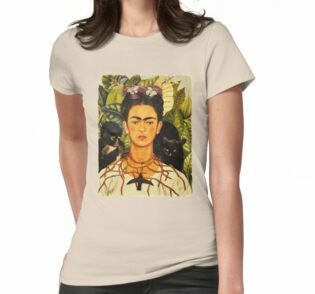 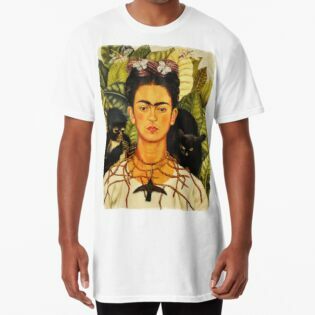 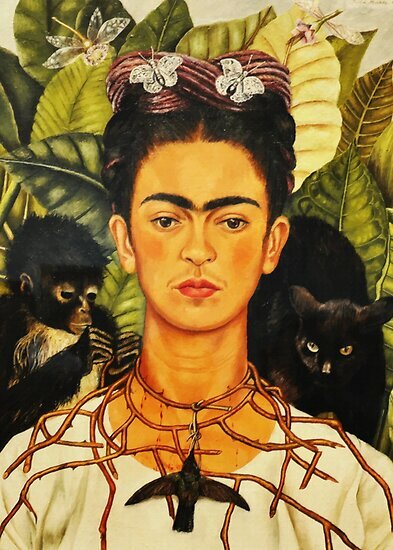 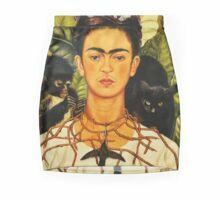 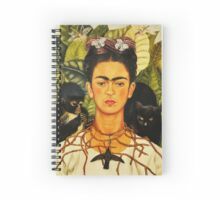 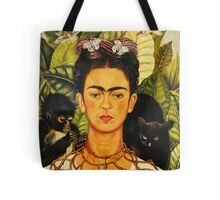 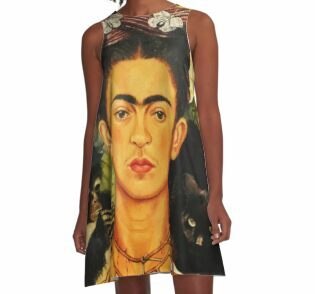 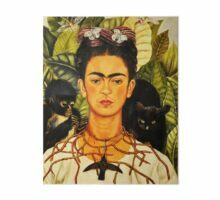 Rivera gave Kahlo a spider monkey as a gift, thus suggesting that it could be a symbol of Rivera, especially since he inflicts pain upon Kahlo by tugging the thorn necklace hard enough to make her bleed. 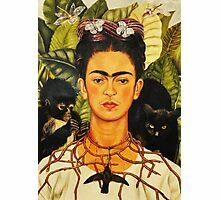 Alternately, the thorn necklace could allude to Christ’s crown of thorns, thus likening herself to a Christian martyr, and representing the pain and anguish she felt after her failed romantic relationships. 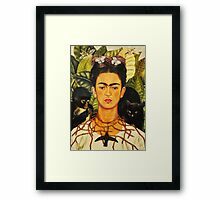 In line with this interpretation, the butterflies and dragonflies could symbolize her resurrection.